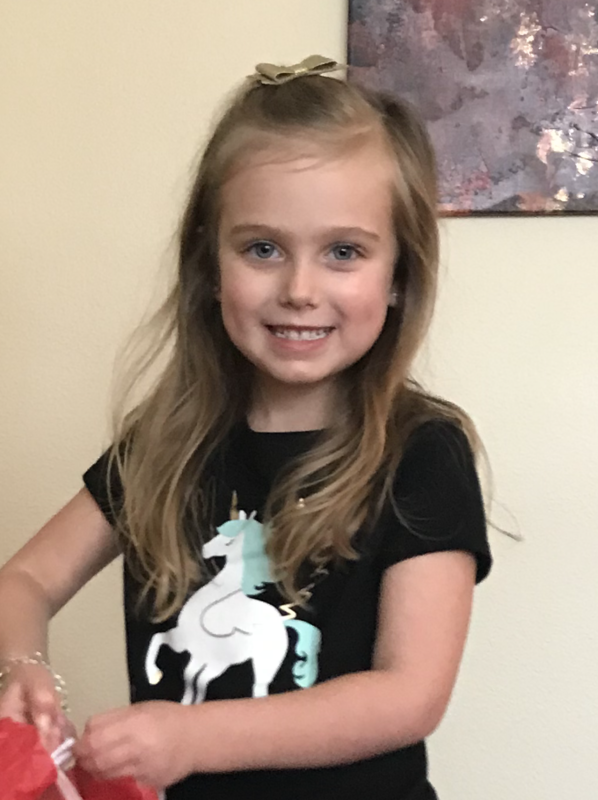 Taylor, 5, started off with a cough, that sounded just like her 2-year-old brother’s, that had been diagnosed with a virus and allergies on Wednesday. She had fever of around 100.9 for a few days. She wasn’t wanting to eat all day Saturday, then completely stuffed herself that night. She vomited about 10:30PM, then went back to sleep. I thought she just over ate and was coughing such thick mucous that it made her gag. Sunday morning rolled around and my little girl had 102.9 temp and was pale and clammy. She then fainted and didn’t flinch when she hit her head on the footboard of our bed. We took her straight to the ER where she was diagnosed with pneumonia in both lungs and was to be transferred to a children’s hospital for a “quick IV antibiotic stay”. (Sepsis and Pneumonia) By the time we got to St David’s Children’s in Austin, we were all of a sudden facing something we never imagined. Taylor’s chest X-ray was significantly worse in the 2 1/2 hours it took to get there. Also, the word SEPSIS was used. She was quickly admitted to the PICU, where a life saving team was waiting on her. At that time, the doctor explained the severity of her illness, and made sure we knew he was ready to do anything and everything necessary for her to have the best outcome. This man saved her life. She was treated for septic shock with fluids, blood pressure meds, and antibiotics round the clock. After 3 days Taylor was slowly taken off the bp meds and had a PICC line inserted. She was released after 3 more days to continue with IV antibiotics at home for 6 days. Two months later, she is still recovering. She has slowly started eating more, and is getting more excited about life. Sepsis doesn’t end when you are discharged from the hospital. Post sepsis syndrome is real. With time, my sweet 5-year-old will beat this too! Previous Previous post: K. M.